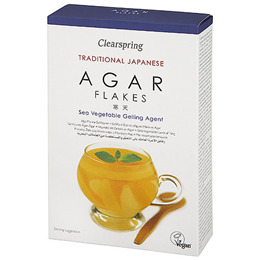 Clearspring Agar Flakes are a high quality vegetarian and vegan alternative to gelatine for making desserts, jellies and aspics. They are free from chemical bleaching agents and prepared in the traditional way in Japan by cooking sea vegetables until soft then naturally freeze drying them outside in the winter sun and snow. Below are reviews of Clearspring Agar Flakes Gelling Agent - 28g by bodykind customers. If you have tried this product we'd love to hear what you think so please leave a review. 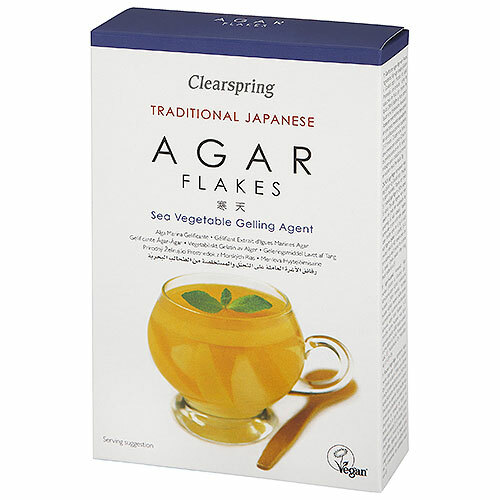 Clearspring Agar Flakes are a high quality vegetarian and vegan alternative to gelatine for making desserts, jellies and aspics.